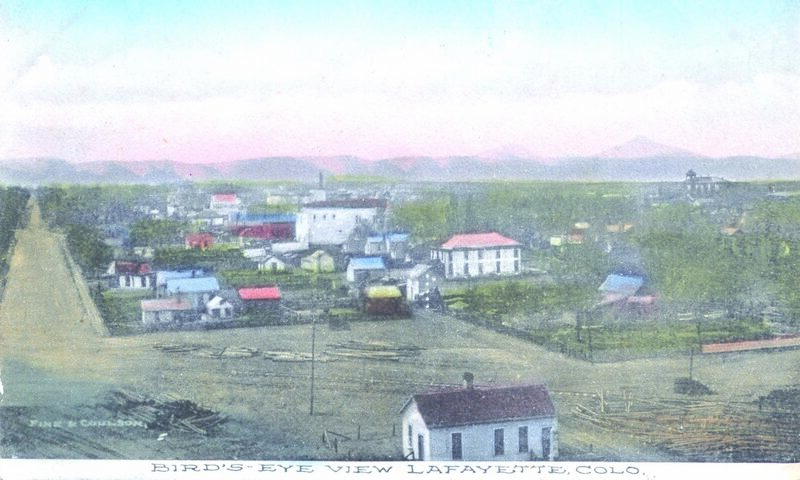 Lafayette History – Page 3 – Historical insights and discoveries for Lafayette, Colorado. When the question of territorial organization came up in the United States Senate the name “Jefferson” was promptly turned down. The list of proposed names included “Tampa,” “Idaho,” which was the name first accepted, “Nemara,” “San Juan,” “Lula,” “Arapahoe,” “Weappollao,” “Tahosa,” “Lafayette,” “Columbus,” “Franklin” and “Colona.” When the bill was about to pass, the name “Colorado” was ordered substituted for that of “Idaho.” On February 28, 1861, President Buchanan signed the bill creating the Territory of Colorado. The name “Colorado” is the past participle of the Spanish verb “Colorar,” “to color,” with a secondary meaning of “ruddy” or “blushing;” and was originally applied by the Spaniards to the Colorado river, whose water is red in hue when swollen by the heavy rains from the disintegration of the reddish soils through which it flows. Dr. Couch’s obituary, from Feb. 15, 1901, Lafayette News. The Simpson Mine Casino, designed in 1910 by Northern Coal and Coke Co. architect R.A. Pierce. 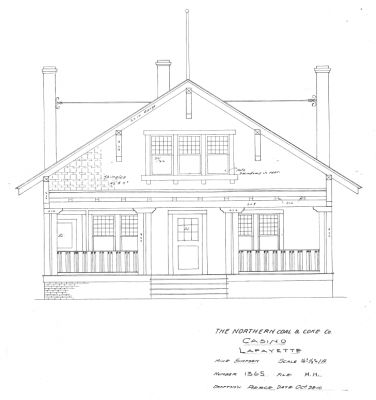 Blueprint courtesy Lafayette Public Library. The Spanish influenza epidemic of 1918 was swift and deadly, taking residents young and old. On October 11, Lafayette Mayor B.C. 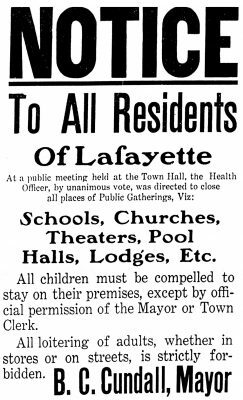 Cundall declared a moratorium on public gatherings and ordered the closing of fraternal lodges, schools, churches, pool halls and theaters. Children were required to stay home, but could travel with a permit issued by the city clerk. For nearly five months, the Gough Avenue sign in Lafayette resident Bob Jencks’ window contradicted the name of the street running next to his house. Jencks propped the sign up as a sentimental decoration after it was removed from the corner across from his home in September.